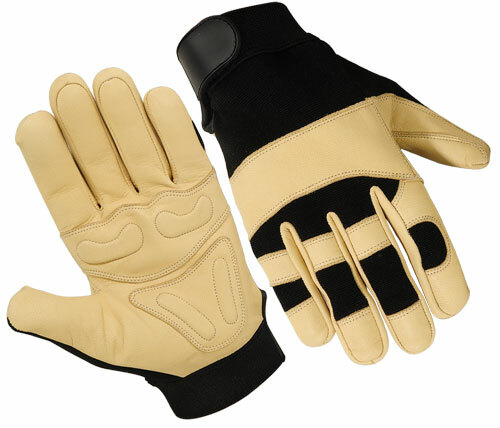 Double Palm with Eva Padded, wing thumb. Goatskin Patch on Back for more Knuckle Protection. Mechanic Gloves Get Latest Price.